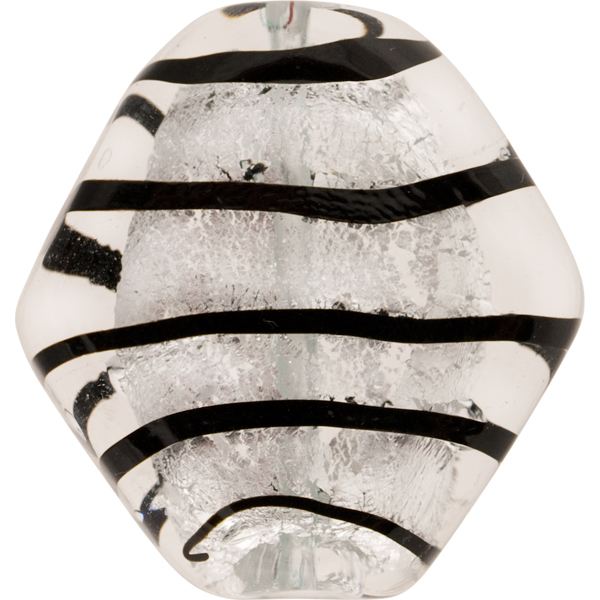 This authentic Murano Glass Bead is a large handmade pendant style bead ideal for center piece on necklace or pendant.The shape is a diamond with a length of approximately 34mm and across at the largest point approximately 32mm and about 10mm thick. The hole is small enough (1bout 1mm) for working with other Venetian Beads. 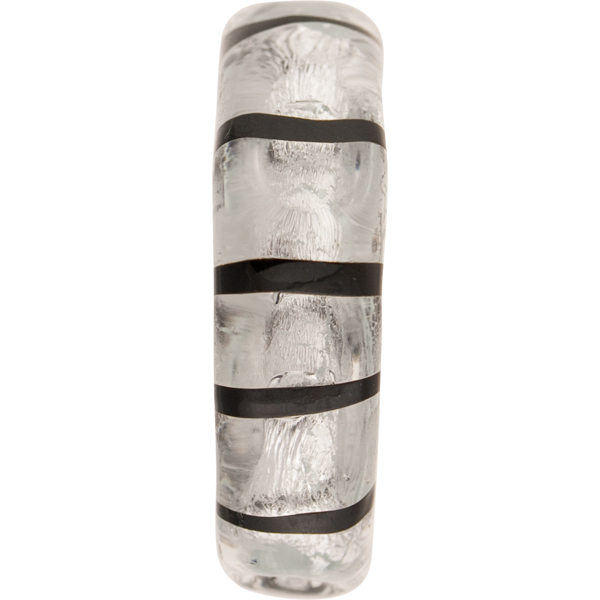 This is our tigrato (tiger) series with clear Murano glass over .925 Sterling Silver foil completely encased in clear Murano glass with black striping. The exact placement of the striping varies bead to bead as they are handmade.